Sulekha Shrestha started her nursing career in 2000 after receiving her Proficiency Certificate Level in Nursing from Tribhuvan University, Kathmandu. She completed her Bachelor in Nursing and Masters in Nursing from Tribhuvan University, in 2008 & 2013 respectively. She is the gold medalist among the University campuses in her Master’s in nursing degree. She worked as the Dhulikhel Hospital staff nurse from 2000 to 2005, operating room nursing in-charge from 2008 to 2011 and has undergone trainings in operating room management and ICU/CCU nursing in Canada, Austria, Israel, and Nepal. She has extensive knowledge and training in operating room management and techniques. 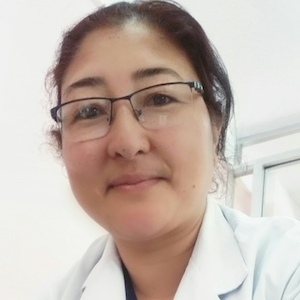 She currently works as the nursing supervisor in Dhulikhel Hospital and as a lecturer in Kathmandu University School of Medical Sciences (KUSMS). She has recently published a textbook Operation Theatres Technique in Nursing in 2017. The Nepal Earthquake of 2015, a 7.8 magnitude quake, struck near the city of Kathmandu in central Nepal on 25 April 2015. It affected more than eight million people: about 9,000 people were killed, many thousands more were injured, and more than 600,000 structures in Kathmandu and the surrounding towns were either damaged or destroyed. Immediately after the quake, the Nepalese government declared a state of emergency. Soon thereafter, the entire Nepalese army and police was assisting in rescue and recovery work. Nepal also called on the international community for aid. India, China, and several other countries quickly responded by sending in aid and rescue teams. Shortly after the first earthquake struck on 25 April, patients started arriving at Dhulikhel Hospital (DH) in Kathmandu. DH commenced free medical services immediately after the earthquake and varieties of injuries, trauma, wounds, and fractures were treated. Soon all the beds in the emergency department were occupied and many patients were treated on the floor on mattresses. Many victims were transported to DH by volunteers utilizing all available means including trucks, mini trucks, vans, buses, and even helicopters. As planned, group leaders were selected to organize the triage system so that teams of doctors, nurses, paramedics, and students were mobilized more efficiently. All five operating rooms at DH treated earthquake trauma victims for nearly 24 hours a day for more than a week. Over the course of six weeks, there were 549 surgeries performed. Hospital staff along with hygienic teams helped to prevent the infection by prioritizing cleanliness within the hospital and its surroundings. Trauma management of the earthquake victims was not enough. Adequate nutrition was required to meet physiological needs and wound healing. As a result, three daily meals were provided for victims and their family members free of cost for two months. This was possible with the support and generosity of the local community and student volunteers from schools and the university in Dhulikhel.